A foolproof plan to avoid marriage: 1. Always carry at least three blades. 2. Ride circles around any man. 3. Never get caught in a handsome duke's arms. Wild Highlander Mary Elizabeth Waters is living on borrowed time. She's managed to dodge the marriage banns up to now, but even Englishmen can only be put off for so long . . . and there's one in particular who has her in his sights. Harold Percy, Duke of Northumberland, is enchanted by the beautiful hellion who outrides every man on his estate and dances Scottish reels while the ton looks on in horror. The more he sees Mary, the more he knows he has to have her, tradition and good sense be damned. But what's a powerful man to do when the Highland spitfire of his dreams has no desire to be tamed? Contains mature themes. I am sorry that I didn’t start this series from the beginning. I loved Mary Elizabeth and the finale of this series would have been sweeter if I had been here from the beginning. 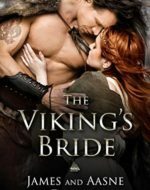 This book caught my attention in a recent Tantor newsletter and narrator Heather Wilds did a nice job bringing these characters to life. I loved the free-spirited Mary Elizabeth. She definitely is the highlight of the series. Although I only read this book in the series, I didn’t have a hard time keeping up, I just realized I missed a lot of the fun in the prior books. Highlander novels are not at the top of my list of favorites. I have enjoyed a few but this one will no doubt stand out. In this series, Mary Elizabeth is the only girl in a house full of boys and runs wild in the highlands hunting and fishing and throwing knives with the rest of the boys. When Mary Elizabeth hits 16, her mother brings her indoors and tries to teach her how to be a lady. You have to think “Are you kidding me?” I don’t know if her mother was too busy with her own life or what would motivate her to ignore the fact that her daughter was running wild for 16 years and think she will want to put on a fancy gown and learn ballroom dancing. So, yeah, this is a great idea. But she does and then she takes Mary Elizabeth to Edinburgh to meet men and when she doesn’t find any that interest her, her mother sends Mary Elizabeth and her two unmarried brothers to London to meet the ton and find a prospective husband for Mary Elizabeth, even though she doesn’t have anything nice to say about the English. Mary Elizabeth shocks the London lords and ladies with her antics in the first two books while her brothers find love, including pulling a Claymore on one lord while walking in the park. Everything was culminating to arriving at the home of the reclusive Duke of Northumberland before returning home to Scotland and that is where we start Book 3. Mary Elizabeth’s plan is simply, avoid the Duke at all costs until the house party is over so she can return home and go back to hunting, fishing and throwing knives. The Duke is referred to as the “reclusive Duke” as if he was the topic of conversations in prior books. Since becoming Duke, Harry has preferred to remain on his property caring to his horses, his gardens and his scientific pursuits, but he agrees with his mother that at 30 he must pick a wife and start acting like a Duke. Harry is casually dressed with Mary Elizabeth and her brother arrive so Mary Elizabeth mistakes him for a stable hand, thus setting up the fact that Mary Elizabeth wants to hang around with Harry while she avoids a fat, bald man she thinks is the Duke. Eventually Harry decides to pretend to be a distant relation and instructs his mother and the household to go along with it so he can come in the house and have dinner with everyone. Harry doesn’t do this for nefarious reasons, he likes that Mary Elizabeth is frank with him and he knows once he tells her he is a Duke, she would treat him differently or worse, pretend interest just to marry him. But in that, Harry has nothing to fear since Mary Elizabeth has no interest in getting married, and while they share a few kisses, she let’s him know she is not interested in getting married. She is going home after the party. Her brother’s are not fooled and want to make sure Harry isn’t playing games with their virginal sister. 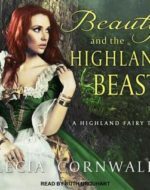 They are mad at first when Harry declares he won’t offer for Mary Elizabeth but they are shocked when he states it is not because she is a highland lass but becomes she is a free-spirit the the duties of being a Duchess would change her. The brother agrees with Harry and allows them to continue their friendship as long as Harry keeps it in his pants. Even after declaring why he wouldn’t marry Mary Elizabeth, his affection grows the more time they spend together and he realizes he doesn’t want any of the girls except Mary Elizabeth. So good intentions are tossed aside with a quick “we’ll figure something out” as far as Ducal duties and Harry sets out to woo and unwilling hellion who has captured his heart. 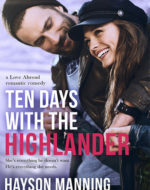 Mary Elizabeth is torn between her new feelings for Harry and her love of the Highlands. When her mother arrives she gives Mary Elizabeth an ultimatum, accept the Duke or return to London until she picks a husband. Well, Mary Elizabeth is not one for being forced to do anything so just as she might have given Harry the answer he was waiting for, she won’t allow her mother for force her hand. You would think at this point Harry would pop her mother in the mouth because he was so close to getting a yes out of Mary Elizabeth. Two things would have made this whole story run smoother (1) if her mother confessed to her from the beginning that she wasn’t punishing Mary Elizabeth by sending her away from home, but that was afraid Mary Elizabeth would waste her youth and when she finally realized everyone else was married with babies and she was finally ready for a husband and a family, she would be too old (although she was only 18, really? ); and (2) if Harry had simply told Mary Elizabeth that he would have no problem spending the summers in Scotland with her family instead of just musing on the subject in his head. Mary Elizabeth thought if she chose Harry, she would never get to visit home, so she had to decide which she loved more. Overall, the story is simple, but very enjoyable. The characters were well-written. I really liked Mary Elizabeth’s spirit and I liked that a man who had little interest in people saw how special and unique Mary Elizabeth was and he wasn’t interested in changing her or just using her because he desired her. Mary Elizabeth doesn’t know Harry’s name right away so she keeps calling him Atlas in her head. She had changed her mind about his eyes. They were not ice blue as they seemed when she first met him. They were warmer than ice could ever be. They were the blue of a clear cloudless sky after five days of rain. She told herself to stop being a fool. 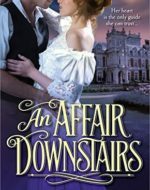 She looked away before he caught her staring like a love-addled chimp and turned her gaze instead to the horses that lived in the mansion. They were all beautiful and they were beautifully housed. Every horse granted his own stall with oats and hay and fresh water piped in. Every stall was as large as a crofter’s house back home. She blinked to see it and knew that she would speak with her father about improving the Clan’s housing as soon as Ian’s next ship came in. Then Mary Elizabeth forgot all else, for she found another soulmate standing alone, looking fraught in the body of a great stallion. “There now, you wee beastie, and what might be your name?” she crooned to him, as she had seen her Da croon to newborn foals. The black stallion heard her voice and shifted on his feet. The groom who had been trying to open his stall door backed away to make room for her. His eyes on Atlas. “Is he now?” Mary Elizabeth dismissed that nonsense for the foolishness it was. Mary Elizabeth turned on him then. He could not speak ill of a horse in its presence. Not when she was there to stop him. “He loves no one. Please. Step away from there.” His hand was on her arm then and she raised one eyebrow. Letting her eyes linger on the place where his callouses warmed her through her ruined dress. Atlas was smart enough to drop his hand quick like and she turned her gaze back to the horse before her. “There now,” she crooned, offering the heel of her palm. “Here’s a great beastie who needs a bit of love.” The huge horse shifted toward her and instead of taking a nip at her, as she expected him to, he sniffed her hand. Then snuffled along it searching for a treat. Atlas ignored her but his companion groom offered her a carrot from a great sack hanging close by. “No wonder this one’s in a foul humor,” she said. “Good carrots so close and not one in his mouth.” She offered the carrot and the stallion ate it whole. He slobbered on her hand and when she reached up to pet his forelock, where a blaze of white shown bright, he let her. “What is your name, sweet boy?” she asked him. The man beside her flinched, and the other stable boy took a deep breath as if to speak. He stayed silent though and Atlas answered her. She felt a strange weight in the moment as if her new friend did not often give his name. Perhaps the mad English simply called him “boy” or some other ridiculous title. Mary did not want to embarrass him further so she kept her hands and eyes on the horse. The stallion turned one great brown eye on her, and she petted his cheek. He moved toward her quickly, and Harry jumped but did not interfere. The horse did not bite though, but pressed his head into her palm, that she might stroke him again. She could tell that neither Harry nor the groom believed her and she sighed, pressing her palm once more to the warm horse before she let him go. “I’ll leave you to your work then,” she told them both, not looking at the blue of Harry’s eyes. She strode out and neither man spoke to her but Samson whinnied behind her and she knew that she had made a friend. She listened hopefully with half an ear for the sound of footfalls behind her from Harry’s booted heals, but they did not come. She sighed and told herself not to be a fool. Harry watched the barbarian girl go. He realized as the sway of her hips disappeared around door of the stables that though he had given her his, he did not yet know her name. Samson still stood beside him, the great beast did not gone after the groom close by, hoping to take a bit of flesh in his teeth. Many of the grooms had been nipped in the last two weeks so that almost no one would come near the stallion. They drew straws now to see who would feed and water him. No one could ride him so they simply turned him out into the paddock by himself daily and watched as he kicked at the fence. Harry had come the first week and watched him kick. He had tried to saddle Samson himself and ended up in the dust, but now in the wake of the Scottish girl with golden hair, the beast and he stood, two males united by fascination and perhaps a hint of infatuation. Sounds delightful – trilogy added to my list.